Aberdonians have a wide range of Supermarkets and grocery shops scattered around Aberdeenshire. The Aberdeen Doric phrase for doing the shopping is getting the messages in. This page will review the food hall shops in Aberdeen with their facilities, opening hours, directions, range of products, contact address, telephone number and website. There are several Tescos in Aberdeen all of which offer Tesco home deliveries from their website at www.tesco.com - even to the rural Aberdeenshire areas. In January 2007 out of every �8 spent in UK shops �1 was spent in Tesco. Each Tesco store in Aberdeen has free parking, disabled access, customer toilets, recycling points, accept clubcard for points, cash machines (Royal Bank of Scotland) and a cafe (except for Tesco Expresses). Other Tesco facilities will be listed beside each contact details. Tesco Danestone is a Tesco Extra Superstore located just outside the Bridge of Don area and can be reached by taking the roundabout directly opposite at the Aberdeen Exhibition Centre, go up the hill and across the next two roundabouts. On the right is a scrapyard, take the left turn and this brings you to Danestone Tesco. If you are driving from the Haudagain roundabout then the easiest directions are to cross the roundabout towards Mike's Fish and Chips and a garage. Continue to the next roundabout and Tesco Danestone is on the right. Tesco Danestone is open 24 hours and has a large car park and a petrol and diesel station. There is a free air and water pump there. The complex includes a dry cleaner and photo processing shop. Within the supermarket is a Tesco Pharmacy and Chemist. Next to this is a Tesco Optician. This is the largest Tesco store in Aberdeenshire and has a large cafe, clothing and electrical sections and aisles of books, DVDs, CDs, toys and games. It also has the largest selection of wines and spirits and a huge Christmas section with festive food and drinks. There is an instore bakery, butcher and fish department. This Tesco Superstore in Aberdeen is so big it even has a seating area in the middle of the shop with a free water cooler and cups. Tesco Danestone run a free bus to local areas run by Watermill Coaches. In September 2006 Tesco Danestone underwent new building improvements and the store was unusually closed for two days. The store is now open and building work to upgrade Tesco to have more selling space is still in progress. When the work finishes Tesco Danestone will have an upper mezzanine level selling non-food items, much like Asda in Garthdee. This has sadly meant that the clock tower and glass atrium has been removed. It does mean that seven more shopping units will be in place when work finishes in the Spring of 2007. Tesco Westhill is located just off the A944 and the opening times are from 6am each morning (8am Sunday) and closes at midnight each week day and at 10pm on a Saturday and 8pm on a Sunday. It sells clothing has a deli counter and the other grocery shopping you would expect in an Aberdeen shop. Tesco Inverurie is a large Tesco store with cafe, petrol garage, deli counters, photo processing, instore baker, butcher and fishmonger. There is a large free car park and recycling points. It is open 24 hours, 7 days a week. 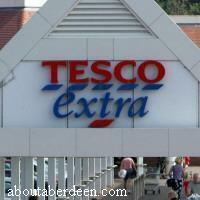 The Tesco Express in King Street, Pittodrie, Aberdeen is a quick shop with garage and only really stocks essentials. It is open 7 days a week from 6am until midnight. Tesco Ellon should be built and opened in 2007 by Christmas time. Though this was the original opening date it is now being advertised at the site as the 27 August 2007. It will be located across from the Ellon Park and Ride in the Balmacassie area. It is thought that Tesco Ellon will be a 24 hour superstore. The Formartine Area committee have given approval for a petrol station and for Tesco to sell non food items like electrical, hardware, DIY products, clothes and furniture and parking for 330 cars. The size of the Tesco Balmacassie Ellon will be 30,000 square feet. Directions to Tesco Ellon when heading from Aberdeen to Peterhead on the A90 is to take the second roundabout turn off to the left for Ellon. There will be about 230 Tesco job vacancies for locals. Tesco Ellon stocks many Scottish products and sources some locally from Aberdeenshire farmers. For example their local milk supplier is farmer Colin Marr who has 200 dairy cows at nearby Udny. Beef is sourced from Sandy Henderson whose farm is at Tarves, Aberdeenshire. Local produce includes Mackie�s of Scotland ice cream and seafood from Thistle Seafoods of Boddam, Peterhead and smoked kippers, mackerel and haddock from Nor-sea Foods who are based in Fraserburgh and Aberdeen. Tesco Ellon support the local community through schemes like the Tesco Sport for schools and clubs and supports local initiatives such as the Ellon Civic pride which helps to improve the standard of living for people living in or near Ellon through horticulture. Ellon Tesco contribute towards tree, shrubs, flowers and landscapes for the people of Ellon and Aberdeenshire visitors to enjoy. Ellon Tesco have donated cash to the Gordon park sensory garden which is being created by the Community Council and organisations throughout Ellon. Tesco Ellon have helped towards the funding of a Rugby Development Officer at Ellon Rugby Club and have sponsored the junior team rugby kit. Tesco Ellon have a range of electrical goods, home and cook shop items and home entertainment goods such as books, DVDs and CDs. The opening times for Tesco Ellon is from 6am to midnight Monday to Friday, 6am to 10pm on a Saturday and 8am to 8pm to Sunday. The petrol station is open 24hours seven day a week because of the pay at the pump facility. The petrol kiosk is open from 6am to 11pm 7 days a week whilst the pay@pump is open from 11pm to 6am. The Tesco in Fraserburgh is located at the entrance to Fraserburgh to the right. Next door is an Argos, Lidls and Pet shop. It was extended in 2005 and 2006 to include clothing, electrical, DIY, decorating and household items, along with computer games, DVDs and CDs. There is plenty of free parking but no petrol garage. There is an independent garage selling petrol and diesel a few yards further into Fraserburgh town centre on the A90. In the summer a marquee is set up in the middle of the car park to sell gardening items, plants and bulbs. Cash machines are provided by the Royal Bank of Scotland. There is a small cafe and customer toilets. The deli counter sells hot meat snacks like cooked chicken, ribs, sausages and pork joints along with cheeses and chilled snacks. There is no butcher or fish counter but these are pre-wrapped for convenience. There is an instore baker and the store always smells of fresh bread. Tesco in Huntly opened in 2005 and is one of the newer Tescos in Aberdeen. It opens at 8am each morning (9am Sunday) and closes at 10pm (6pm Sunday). It has a garage, photo processing and a cash machine. Though it sells clothing there is a local agreement as part of the planning application that it will not sell electrical items because some local stores in Huntly shopping centre already meets these needs for the community. The easiest directions for the Huntly Tesco is to follow the signs for the football stadium and Tesco is just before - you can't miss the big Tesco sign, just off the A920. Tesco Keith is a small Tesco Metro store just located off Church Road. It is open from 8am Monday to Saturday and opens at 10am on Sunday. On a Monday, Tuesday, Wednesday and Saturday it closes at 8pm. On a Thursday and Friday it closes at 10pm and closes at 6pm on a Sunday. Tesco are in the process of seeking planning permission to build a new store at Longside Road, next door to the existing Asda shop. It has successfully passed the approval of the Buchan Area Committee members. It is hoped that it will have a floor space of about 4632 square metre, an outdoor service area and car parking for approximately 330 cars. Tesco jobs in Aberdeenshire are advertised in local job centres. Job opportunities for Tesco Danestone and other Aberdeen branches are advertising in the jobs pages of local newspapers like the Evening Express and the Press and Journal. You can also search for a Tesco job vacancy on their website at www.tesco.com and at the bottom of the page click on the Careers link. Then you can search for type of jobs in all areas and regions with salaries.  There is also the ability to submit an application form. Details of the Tesco finance UK for 2007 saw a slower than expected UK growth in the more challenging area of non food items. Petrol was ahead at 4.7% though but was 5% lower than expected by analysts. Overall group sales were down by 0.4% for the 13 weeks to 26 May 2007. ASDA is part of the American Walmart company and there are several large Asdas throughout Aberdeenshire. Asda Aberdeen will also deliver direct to your door locally via the Asda website at asda.com - what we love about the Asda site is that they have free recipes and then you simply click to buy all the items you need. This saves us lots of time and gives us new family recipes each week. Each Asda shop in Aberdeen has a wide range of DVDs, CDs, Computer and Pc Games, Flowers, Gifts and household items as well as a wide range of grocery shopping. Each Asda also shops locally for some great Aberdeenshire produce not found in other Asda stores. The Asda at Garthdee, Bridge of Dee is the largest Asda in Aberdeen. It has a large car park and other shops in the Garthdee Shopping Centre includes Boots, Currys, B&Q and Sainsburys. This store has a second floor, reached by an escalator, dedicated to the George clothes and household items along with games and toys. The lower floor has a cafeteria, customer toilets, deli counters, a large ethnic food section, make your own pizza section, instore bakers and the food hall. The Asda Garthdee store is open 24 hours a day, seven days a week. There is a petrol station, photo developing centre, opticians and cash machines. The Asda in the Aberdeen Beach Boulevard Retail Park opened in 2004 and replaced the Big W. This is all on one floor and has disabled access, a cafe, customer toilets, household and clothing section and a large foodhall. Parking is free and other shops in the retail park include a Pet shop, Comets, Peacocks, Pagazzi lighting and a sports clothing and equipment shop with a fitness centre. The beach Asda is open from 8am and closes at 10pm. There are cash machines to the right of the store. There is no petrol station at this Asda store. Asda Dyce is next to Dyce Academy Secondary School. Within the shopping complex is a small Boots, RS McColl newsagent, fancy dress shop and a pet shop. There are public toilets and a cafe before you enter the foodhall, jewellery counter and clothing areas. Asda Dyce opens at 6am and closes at midnight. There is several bank cash machines before you enter the store. There is a petrol station and power wash at this Asda Store. Asda at the Bridge of Don opens from 8am and closes at 10pm Monday to Sunday. Other facilities in the area include an Ashvale Fish and Chip Chipper, a hairdresser, a travel agent and a vet. There is a petrol station and plenty of parking. The George clothes section is slightly smaller than the other stores and there is a small household section. The fruit and vegetable sections make up for this though and are the freshest we have found. Asda Peterhead opened in 2004 on the site and building of the old Co-operative store (Co-op) and was then extended so that there was more floor space for the George clothing range. The easiest directions to get to Peterhead Asda is to head to Peterhead on the A90 turn left at the Inversnetty roundabout beside the MacDonalds restaurant and take away. Follow the road to the next roundabout and turn right. Asda Peterhead is on the left. There is a large free car park and a petrol station. Bank machines can be found at the far left of the store. The store is open from 8am until 10pm seven days a week. There is no cafe in this store and customers toilets are located on the right after the newspaper and magazine section. The aisles are slightly narrow than one would expect but the shelves are still well stocked. There is a small electrical, CD and DVD section. Asda Huntly is open 24 hours a day and can be found just off the A96. This Asda store has a petrol station, cafe, baby changing facilities, customer toilets and disabled access. Asda Portlethen was the first Asda to open in Aberdeenshire, back in 1986. It remains one of the largest stores and is open 24 hours a day from Monday to Friday and from 4:30am to midnight on Saturdays and Sundays. It has a full range of services like an optician and pharmacy, cafe, petrol station, a rotisserie, jewellery counter and a huge foodhall. Jobs at Asda are advertised locally in the P&J and EE newspapers. There are usually more Asda job vacancies at Christmas time to help cope with the Xmas shopping. Work application forms are usually available instore. The Grocer 33 Pricing Survey for 2006 to 2007 from www.thegrocer.co.uk declared Asda as the winner of Britain's lowest price supermarket award in Aberdeen, Scotland.